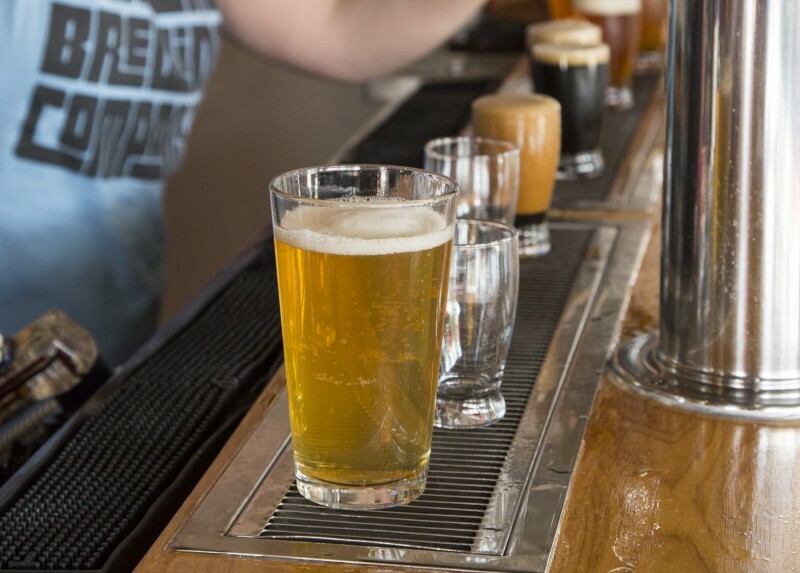 The recovery group, organized by members of the local food industry, offers support and discuss concerns related to alcoholism and substance abuse within the industry. This was the introduction to the initial Beer City Recovery Facebook event page. The group, conceived by Grand Rapids resident and industry member Nanc McGorman, functions as a recovery support group for people of all ages working in foodservice that struggle with alcoholism or substance abuse. Foodservice employees are no strangers to working long, late hours in high-stress environments, whether it is the intense heat of the kitchen, handling a plethora of customers each night, or the fact that every second counts during a dinner rush no matter what your position may be. According to a survey from the Substance Abuse and Mental Health Services Administration, the industry has one of the highest rates of substance and abuse rates in the country, with 16.9 percent of full-time employees suffering from addiction or abuse. With Restaurant Week quickly approaching here in Grand Rapids (August 9-20) and ArtPrize following soon after, local restaurants and bars are preparing to jump into another busy season. It is nearly a tradition to have a drink after a long night or closing shift in many establishments, and working under immense pressure with easy access to alcohol can take its toll; most industry folk can attest to knowing a coworker or member of their workforce taking their drinking or substance abuse too far, or have been in that position themselves. Furthermore, these factors can make achieving and maintaining sobriety much more difficult without completely changing your career path. Realizing there are few recovery groups specifically for industry workers and being aware of the consequences alcohol abuse can bring, McGorman decided to take matters into her own hands. The recovery group is welcoming and open to anyone interested in participating. It is loose in structure, essentially providing a space and time for people to talk anonymously about their struggle, discuss solutions or paths to recovery, and discover resources and people to reach out to if needed. There is a powerful sense of camaraderie within the food industry, and as McGorman explained, “You’re not alone in this;” this group can provide a supportive environment for those who may feel guilty or misunderstood in their illness. The next meeting will be held at Grand Rapids Brewing Company on August 15 at 8:30 p.m. To learn more or if you have any questions, please visit the Facebook event page. You do not have to RSVP to the event to attend.